Subscribe on the Workshop! Workshop version is outdated by like a few years! Placed 3rd in the Summer 2015 72 Mapping Contest! Thank you all so much for your support! 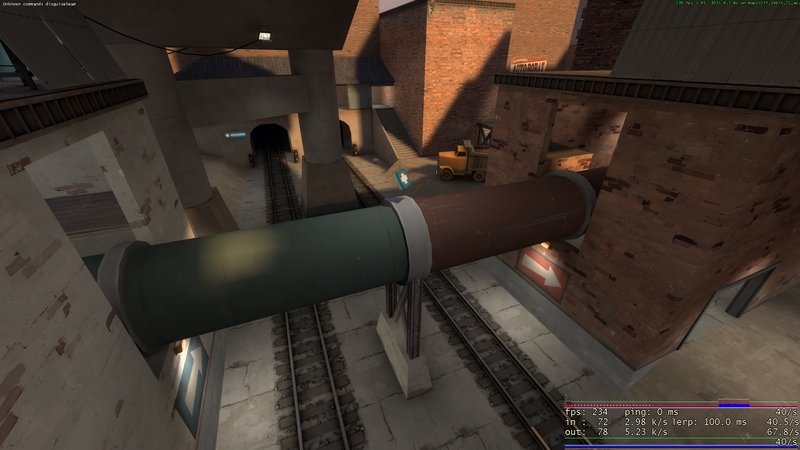 Underpass is a somewhat unique take on capture the flag. The bases and flags are much closer than usual, but there are doors sealing off the easy way into the intel rooms. As soon as the enemy flag is grabbed, the doors open, providing an easy escape from the base. But be warned, as the doors remain open until the intel is retured, so don't help the enemy score! This map will be updated over time, so stay tuned! I played this during its first test and found it as a fun alternative to the usual ctf layout. You made many of the changes I wanted so I thank you but I still feel like the roof is too strong. Funny you mention that. In a1 and a2 it was the powercore prop, as the garage was going to contain some sort of doomsday device or something, but I only had 72 hours and I realized it wouldn't make much sense. How could you power your machine if the enemy had already stolen some of you batteries? Also, in a1 the Intel healed the defending team when it was in the field, so the healing beam coming from a powercore made more sense than a briefcase. Fun fact: there's a SUPER SECRET EASTER EGG in the map. I wasted two hours on it, and nobody has found it yet. Good luck if you want to figure it out! Edit: It has multiple steps that must be done in order for it to trigger. All of them can occur during normal gameplay or alone. It is highly unlikely that they will occur accidentally, but it would be possible. Ido said I could fix some minor issues. Here's an _a6b for you viewing pleasure. Now repacked! Name change of resource to new map name, and there's now with a workshop post! Go subscribe! Or not! P.S. If anyone is able to change the thread title to Underpass, I'll be forever grateful. If that's not a thing, thanks for taking the time to read this anyways! Edit: Found the thread title edit button! 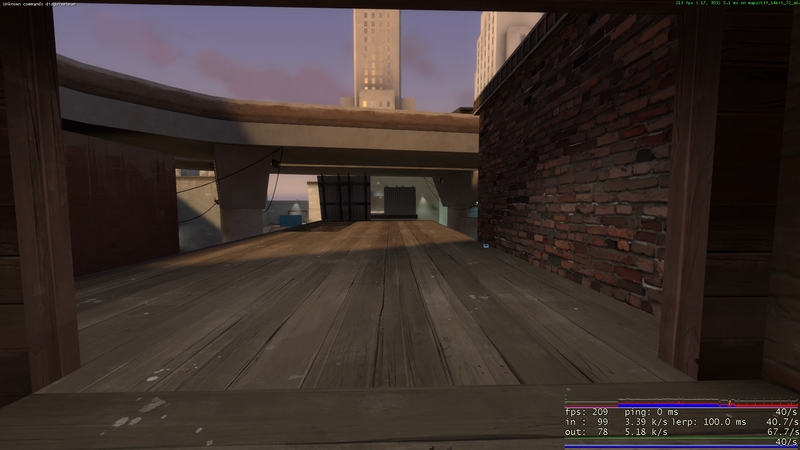 I really don't like CTF in TF2 but this map is pretty good for a CTF map. Good luck in the 72 hour content I voted for your map! I believe you can change the name of a thread by editing the first post now. I find this pipe bridge pretty annoying, because you can't tell how wide the bridge is. It makes strafing on it hard, so it's hard to be aware of what's around you. I'd prefer if this was just a flat catwalk so it'd be possible to see where you're going without having to think really hard about where the walkable edges of a cylinder are. Really frustrating sightline to have basically right out of spawn. Also no prop fades. This is the best area to attack the flag from but people rarely use it successfully. Actually all the routes are kind of weirdly difficult. The vent is so central that everyone uses it but it's really easy to lock out. This area is really good for attacking the flag but it leaves you so vulnerable. The only other way to attack the flag is by going past the spawn doors, which is suicidal most likely. I don't want the routes to be necessarily easier, but it'd be nice if they were a bit more fleshed out. I don't like CTF, but I don't mind playing this map. I think that's because the rounds actually go quickly. You really need to defend your flag, or you lose. Some teams can split their offense and defense well, but some can't. I like that things actually happen in a CTF map--we don't go 5-15+ minutes without something happening. It's all because of your flag/door mechanics. I'm a big fan of the flag mechanics but I'm not sure you've got quite the right layout for it. This is a case where I think a more traditional CTF layout would actually make sense. Imagine a typical CTF map but with doors that would open "in emergency" that make traveling through it easier/faster. I think that'd allow you to solve some of the route problems with the windows/vents area and make it a bit harder to simply run away immediately with the intel. Alternately (just thought of this) have the doors open slower, so players have to wipe the enemy and defend a bit before they can escape. I don't really like the random trains. I do like the detailing, though obviously it's a bit simple. Most the vehicles on the freeway are impossible to see unless you rocket jump, but they still get rendered from everywhere outside. Looks pretty convincingly urban, like a backyard between two industrial facilities or something. I hope other people consider mechanics like this when they make CTF maps going forward. You've shown that we can get creative with CTF without making it feel weird. Well done. So it's been around 7 months since I last touched this, and in that time it placed in a contest, so I think people liked it. I made some small changes but I just want to get it tested before I do some of the MAJOR changes I have in mind. 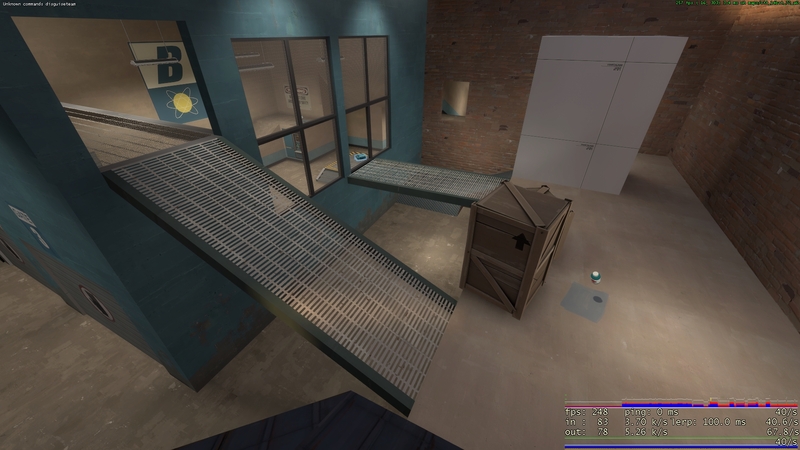 So here it is, ctf_underpass_a7. Oh boy, I haven't touched this in over two years. Added a "Both trains" option. Fixed the "No train" option. This means that there's now a 1/4 chance that the trains won't run for 60-120 seconds.